Oh dear, trust unlucky 13. Slight mix up doing lots of reviews at the same time and an error during video processing meant a hiccup there and me forgetting to post about #10. Nevertheless, here’s an appaday we’ll insert number #10 into correct position at the end of the day (if you also listen out at #11) Penguin you’ll hear me say that was meant to be number 10 :S). Number 13 will be up shortly too and then we’ll go back to normal numbering again. 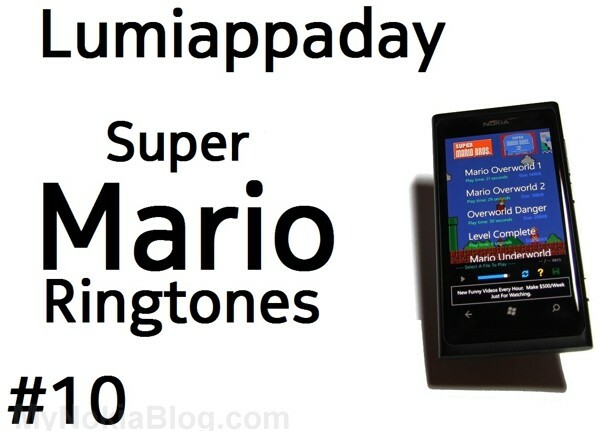 With now over 70 Ringtones to choose and save to your phone, this collection of music is a must have for any Mario fan. As the app grows in popularity, more music will be added! It will remain entirely free too, so please support this polished app anyway possible! First and foremost, you might think – how are ringtones apps now? 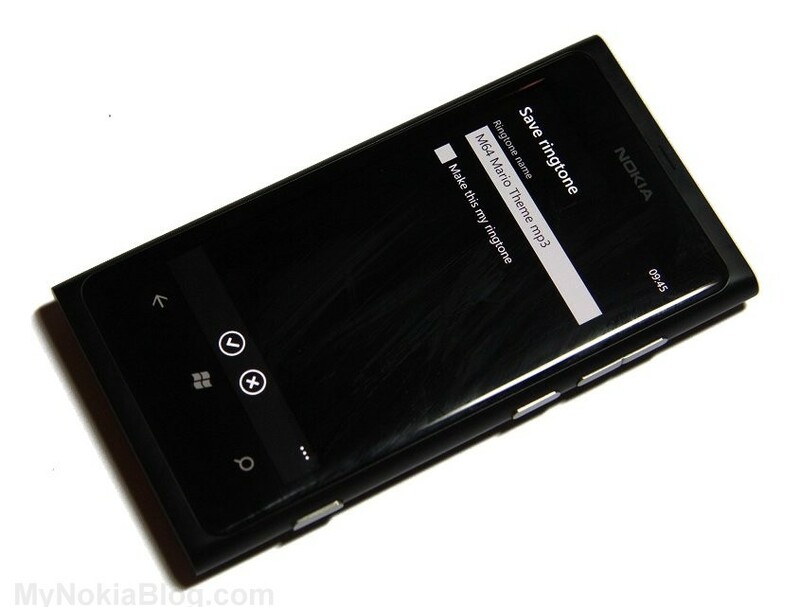 Remember back in June when custom ringtone would was detailed amongst the features in WP? I also noted than unlike just being a possibility where you put your custom MP3, there is doing something more with this new feature. 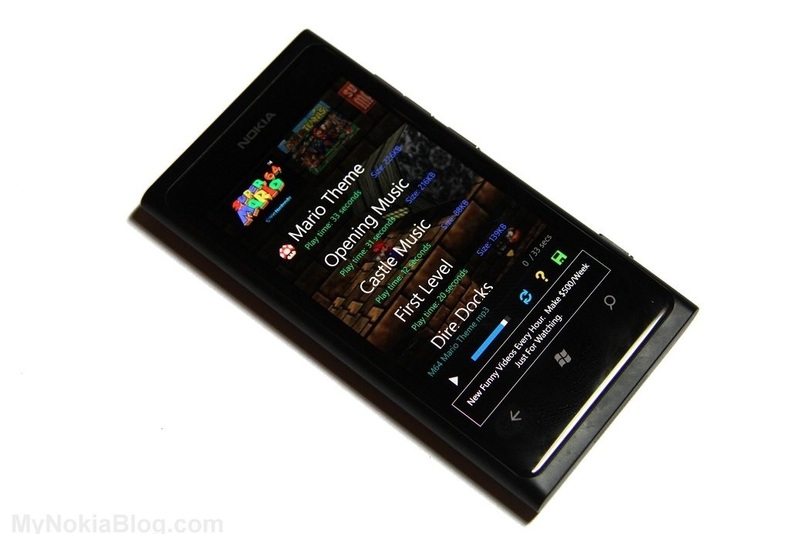 Of course we can already download ringtones from Nokia Store and set them as ringtones. In this example (and there are many creative ways to go about making ringtones, e.g. 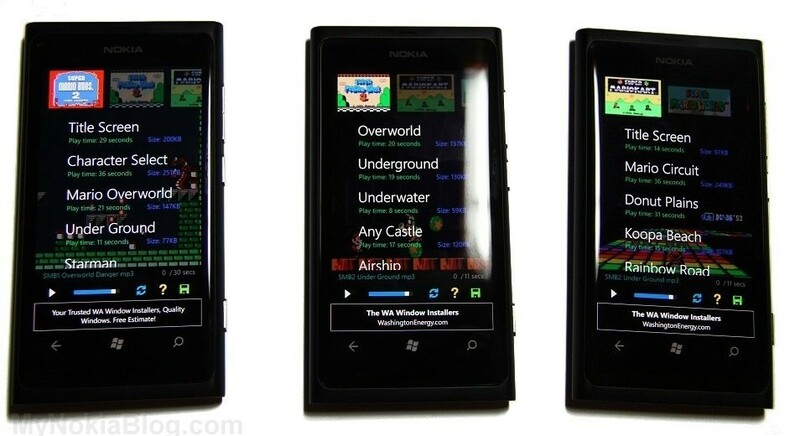 Nokia loop) a developer has put together Super Mario songs for Ringtones. Possibly every memorable tune from nearly every memorable Mario game. From here, it makes it easy to select the particular type of tunes you want. No searching the web for it, no downloading and searching for that tune. Start the app, select the song, set as ringtone. With Metro comes consistency. Some have commented it might make apps too similar. However, there are so many apps (and so don’t base it just on what I’ve shown) that use the panoramic nature of Metro but do something different with it. Here, you can see intead of big words as titles at the top, you have the image of the game. Below it are a list of possible tones including the size, and play time. The background is an image from that game. Another nice touch was the load page that started the Mario experience from the get go. The buttons on the bottom are a little too small I think. They’re still clearly usable but perhaps make them a little bigger? Oh when you select a song, a mushroom appears next to it. The panoramic nature makes it very easy to organize the tones into the Mario games they come from, move in between the different Mario game songs and hence making it easier to possibly search for a particular track. The buttons as mentioned are a little too small but don’t actually make it difficult to use. It’s more an aesthetic thing. There is space though utilized by an ad banner. Tap on the tone you want. You can press play to preview it and/or the save button to save that to your ringtone list which you can set later, or if you want, set it as a ringtone there and then. Yup, it’s fast, stable and easy to work. (Note, not all apps we want to show are stable. Some have bugs, just most we’ve shown so far haven’t). Start up takes about 5-6 seconds though, longer than usual but you are treated to a Mario load page where the progress bar are Mario icons as well as having a Mario sound. As an app that you’d only open occasionally (unless you change your ringtone daily) I think that’s fine. 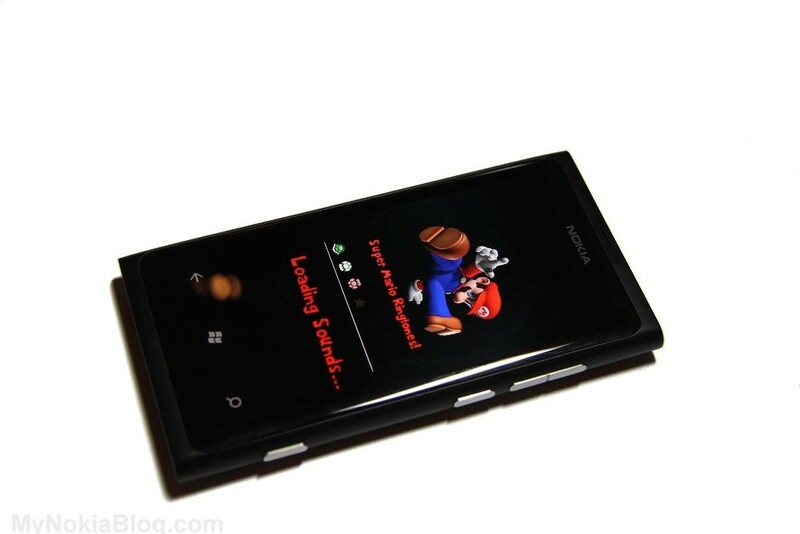 Conclusion: If you’re a fan of Mario and want some easily accessible Mario ringtones, you’ve got to try it out.